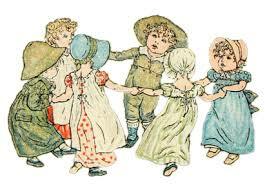 The rhyme first appeared in an 1881 book, Mother Goose, though in oral tradition it is much older. And for all its apparent innocence and playfulness as a child’s game, the verse is about something deathly serious: the Great Plague of London in 1664–65, which resulted in more than 70,000 deaths at a time when the city’s population numbered only 460,000. The disease, caused by the bacillus Pasteurella pestis, was transmitted to humans in crowded urban areas by rat fleas. In the rhyme, “ring o’ roses” refers to the circular rosy rash that was one of the plague’s early symptoms. And the phrase “pocket full of posies” stands for the herbs people carried in their pockets, believing they offered protection against the disease. The final two lines, “Atishoo! A-tishoo! / We all fall down,” tell of the plague’s fatal sneeze, which preceded physical collapse; literally, the victim fell down dead. Previous PostThe history of the toilet (part one)…….